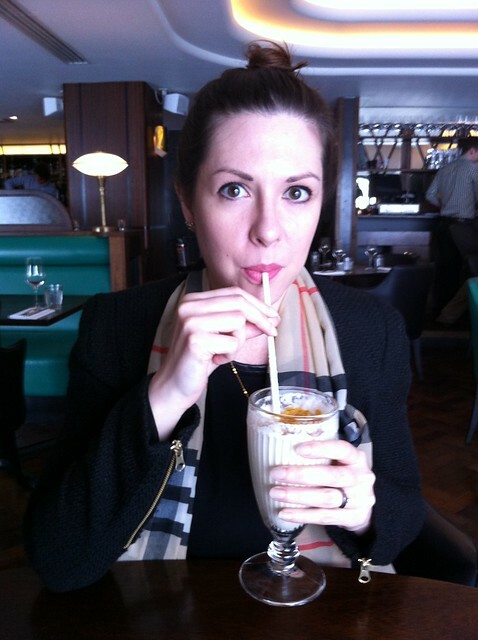 For my husband’s 30th birthday, we visited Hawksmoor on Air Street, just off Regents Street. I’d heard this was one of the best places in London for steak, and I was certainly not disappointed. 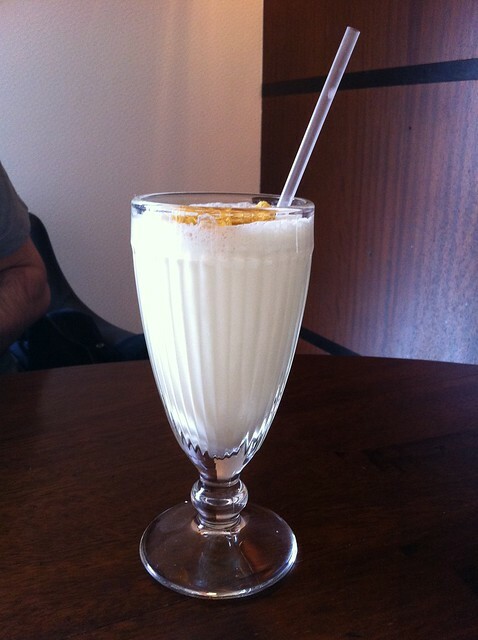 The real stand out for the whole meal was actually totally unexpected and a real treat – cornflake milkshake! We totally ordered this by chance but I’m so glad we did – it was delicious and incredibly unique. 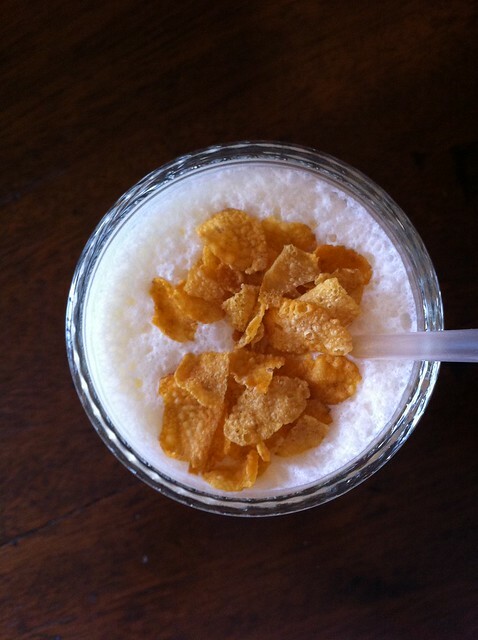 It was super sweet with a hint of malt to it, and the cornflakes on the top added a great texture. Plus, gotta love those classic milkshake glasses! At first, we just ordered one to taste, but when it came I insisted on getting my own! 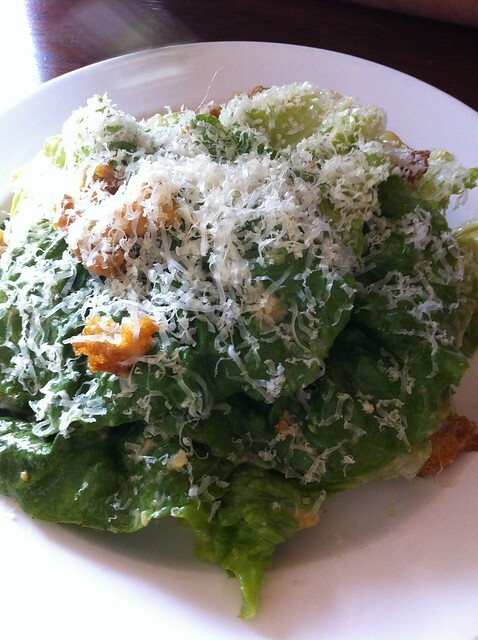 This was my husband’s starter – Doddington Caesar salad. It’s a bit of a running joke between us as the cheese also sounds a bit like his surname… It was pretty unusual to have cheddar on a Caesar salad, and it wasn’t until I tasted it myself that I appreciated the difference in texture – the waxy feel of cheddar is very different to the drier, textured feel of Parmesan. I had the Tamworth belly ribs – I did want the potted beef and bacon with Yorkshires, but the waiter told us the chef wasn’t happy with the quality and asked us to select something else. To be honest, they were slightly dry in places, but very rich and great with the red cabbage. As usual, when serving salad and a meat dish to a table seated with a man and a woman, the waiter tried to give me the salad – this always happens when we go out together and perhaps I should take the hint and start ordering lighter options! 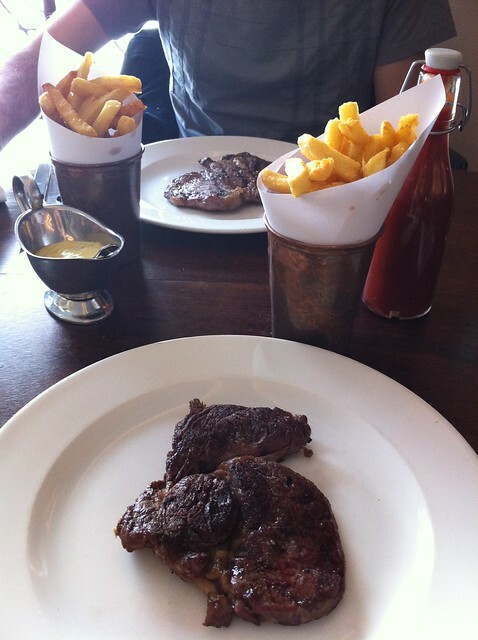 Two gorgeous rib eyes, two sides of triple cooked chips, and a dish of Stilton hollandaise. Without doubt, this was the best steak I have ever had. Meaty, beefy, robust – it was everything a steak should be. Tender in all the right places, cooked perfectly as a medium rare. If you ever wondered what aged beef tasted like, or why it was so much better than regular steak, I invite you to go to Hawksmoor and discover it for yourself. Absolutely phenomenal. 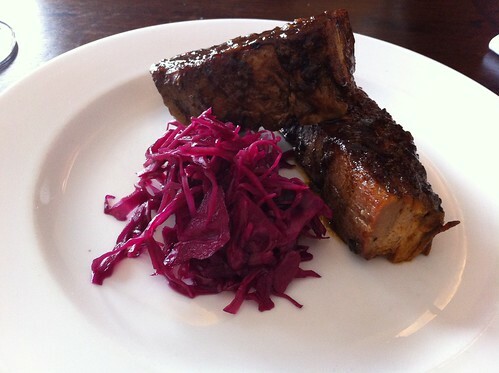 It totally blew the steak I had at the Hind’s Head last month out of the water. 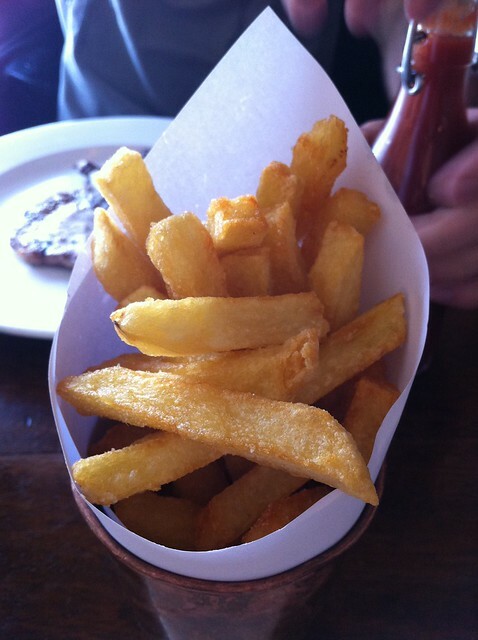 One aspect in which Hawksmoor couldn’t compete with Heston was on the triple cooked chips front. They certainly looked the part, but there was a suspicious taste about them which made me wonder whether they were yesterday’s batch… Anyone brought up with thrifty parents can recognise the taste of reheated potato, and that’s the taste I was getting from these. Unfortunate if they weren’t just reheated, unfortunate if they were – no win either way! But they were beautifully crunchy and did the job of soaking up the juices well. The Stilton hollandaise was delicious – but just as with bernaise sauce, I found myself feeling stuffed after a few swipes at it – there’s something about an egg based sauce with steak that sits just on the wrong side of richness for me. Next time I’ll try the bone marrow gravy, but to be honest, I’d literally only eaten this exact same dish at the Hind’s Head two weeks’ before, so I thought I should at least chance the sauce!